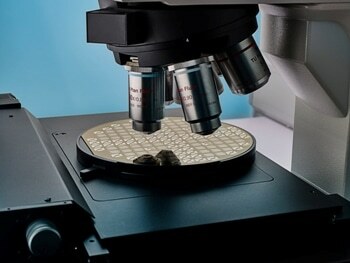 Graphene Field Effect Transistors (GFETs) from Graphenea are designed exclusively for sensing applications. 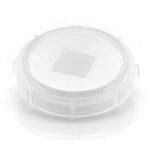 Graphenea delivers advanced graphene devices directly to researchers to allow application-driven research without the extra hassle of fabricating their own high-quality graphene FETs. Owing to its unique structure and remarkable physicochemical properties including a large specific surface area, high electric conductivity, high chemical inertness, and biocompatibility, graphene has great potential for use in bio-electronic applications. Graphene's exceptional optoelectronic properties have the potential to build photodetectors with an ultrafast photoresponse across a broad spectral range, from far-infrared to UV radiation. A number of applications require the ability to identify chemicals in the water or in the air and with progressive sensitivity demands. Graphene chemical sensors have shown the detection of single molecule adsorption events—it does not get more sensitive than that! The areas of application for magentic sensors covers a number of fields, including consumer electronics, healthcare, automotive, and defense; where magnetic field sensors are used for current monitoring, position detection and angular sensing. Graphene biosensors are designed to provide a fusion of electronics and biology that essentially transforms biological testing capabilities, and sensor speed and size.